Economic strategy’s implementation phase gets underway. Work has commenced on the Wairarapa Economic Development Strategy following its launch on Monday 12th November, The Strategy is the culmination of work across the region’s sectors, stakeholders and Iwi – instigated by the Masterton, Carterton, South Wairarapa District Councils, the Greater Wellington Regional Council and WREDA. It targets seven key focus areas; value-added food and beverage; tourism/visitor attraction; knowledge intensive industries, knowledge and skills, and business development; water; travel (air and rail); housing; and trees. A governance group chaired by Dame Margaret Bazley is made up of the three Wairarapa Mayors, and the chair of Greater Wellington Regional Council, they will be supported by a Steering Group represented by Chief Executives of each council and supporting officials from lead agencies – Wellington Regional Economic Development Agency (WREDA) and Provincial Growth Fund (PGF). Dame Margaret explains that strong leadership is needed for the strategy to be successful. “Each leader has agreed to lead the focus areas, this shows they mean business, and want to lead from the front. Although the strategy has a long term lens to raise the prosperity of Wairarapa and its people over the next ten years, there is a sense of urgency to maximise the opportunities that the PGF provides, therefore swift action is needed to secure funding for the Wairarapa. At the launch, Regional Economic Development Minister, Shane Jones showed faith in the strategy by announcing funding for a Programme Manager to oversee its coordination. While the recruitment process for this role takes place, Wairarapa local and Masterton District Council’s Economic Development Manager, Phoebe Chamberlain has been seconded into the role. The role is part of the team at the WREDA but will be based primarily in the Wairarapa. Opportunities to find out more about the strategy will be provided through public workshops early in the New Year. 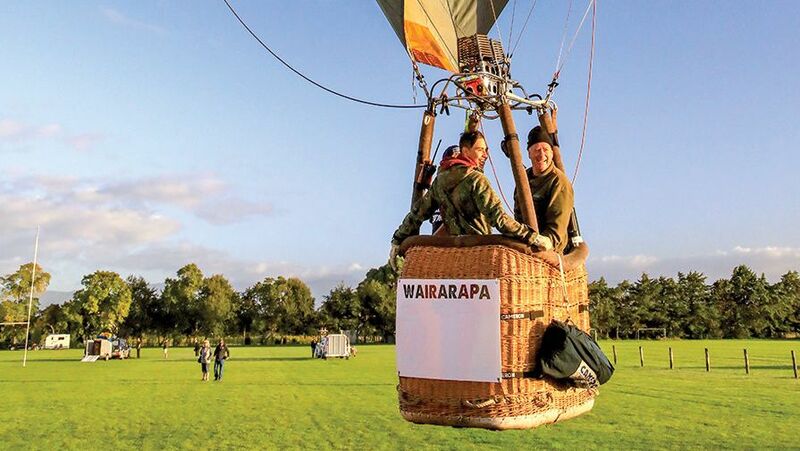 The strategy and all the latest news can be found via the strategy’s official website www.growwairarapa.nz.